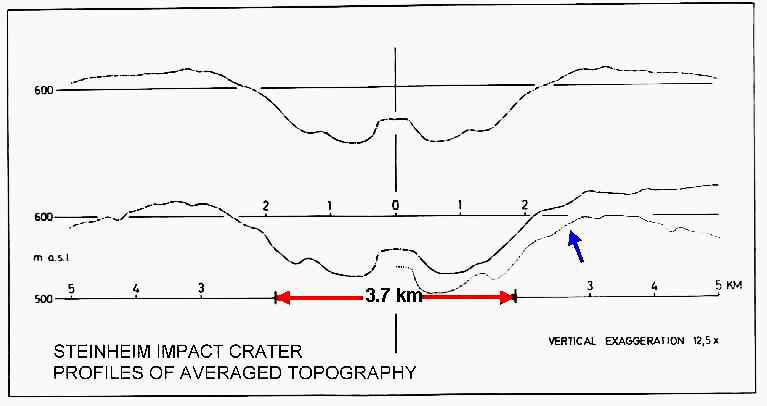 Commonly, a 3.7 km-diameter of the Steinheim impact structure is stated. A gravity survey and a detailed morphological analysis, however, suggest a much larger size. 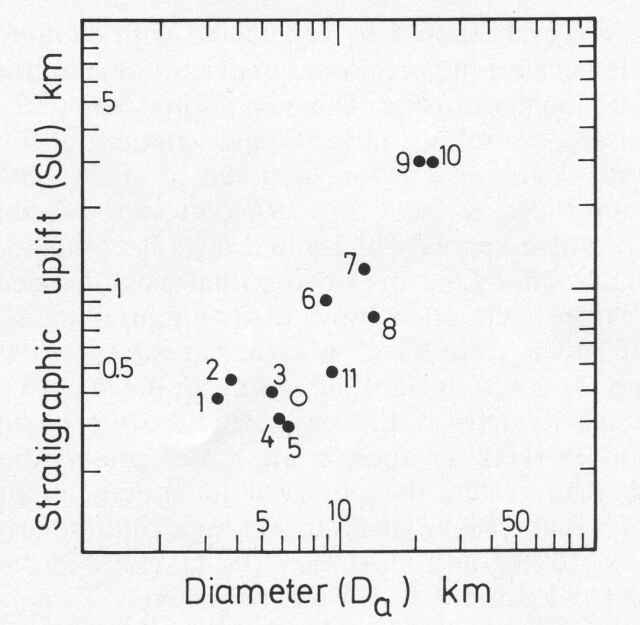 A diameter of 6 – 7 km may be reasonable as shown in a paper by K. Ernstson (1984: A gravity-derived model for the Steinheim impact structure. International J. Earth Sci., 73/2, 483-498). 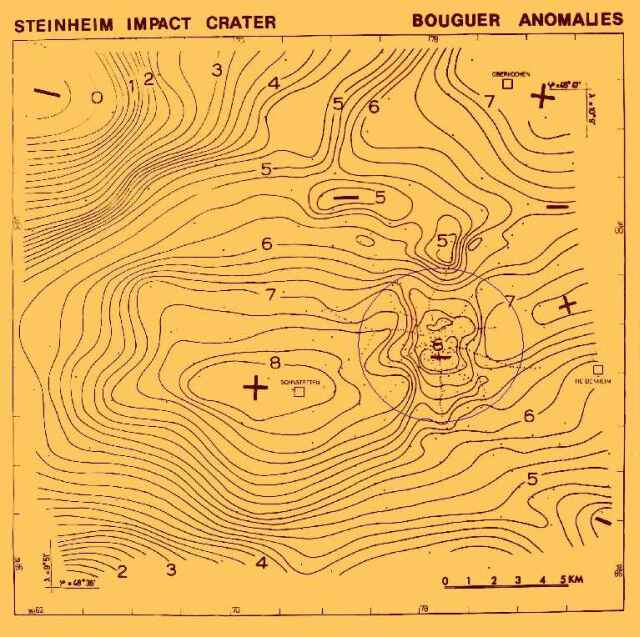 a small 3.8 km diameter for the Steinheim structure is used making the results of these cratering models rather suspect. In the Stöffler et al. article the gravity paper is not cited at all, although the study of Ernstson (1981) implies mass and energy estimates as well as comparisons with the Ries impact crater. It should be noted that after all Dieter Stöffler (from Berlin) is considered an established mineralogist who did some work on the Ries and Steinheim Basin impact structures. The simple concealment of an article on a closely related topic can be stated poor scientific style only. On asking B.A. Ivanov why in the Ivanov & Stöffler paper he refers to the Ernstson gravity article in such a crassly falsifying manner (“limited gravity survey”: In fact the measurements and their processing and interpretation comprised 500 (!) gravity stations) and why especially he suppresses the completely new model of the much larger crater, he finally confessed that he never read the article because the journal (not exactly unknown internationally) was not available in Russia! This does not only cast poor light on Ivanov’s comprehension of science but especially reflects discredit on the comprehension of science of the coauthor Dieter Stöffler (Berlin), who obviously does not reside in the “dark and remote” Russia without literature access. The most significant figures of the Ernstson paper are shown below. Bouguer gravity map of the Steinheim basin area (encircled) and its surroundings. Contour interval 0.25 mgal. 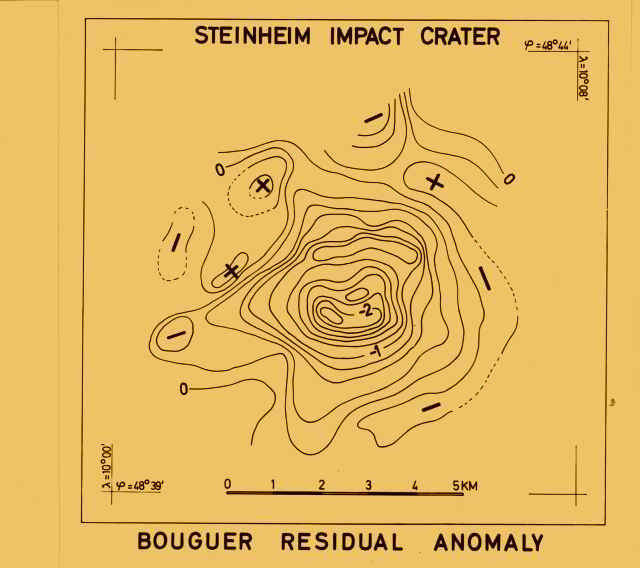 Bouguer residual anomaly of the Steinheim impact structure. Contour interval 0.2 mgal. Model calculations. Densities for the model bodies are in g/cm. Profiles of averaged topography of the Steinheim crater. Top profile: Averaged topography based on 32 radial profiles. Bottom profile: Averaged topography from 16 southern (to the left) and 16 nothern (to the right) stacked profiles. 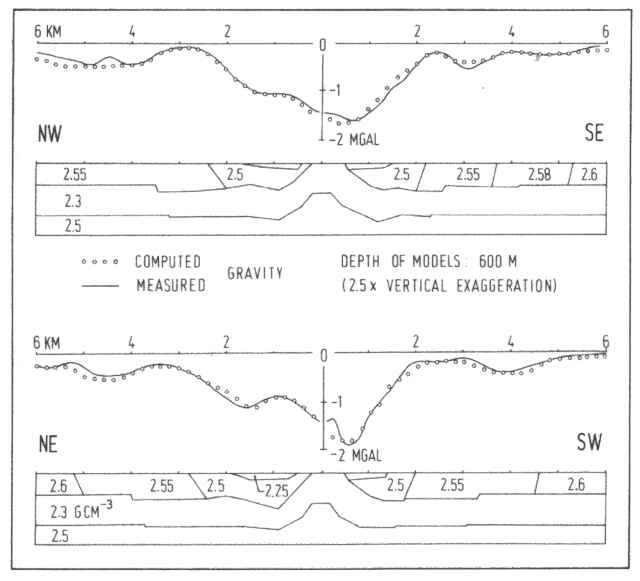 Dotted line: Left-hand profile mirrored at the zero axis and shifted vertically 20 m. The 3.7 km bar matches to the average rim crest diameter according to RODDY (1977). Stratigraphic uplift/diameter relationship for terrestrial impact structures, sedimentary target. 1 = Steinheim, 2 = Flynn Creek, 3 = Crooked Creek, 4 = Middlesboro, 5 = Serpent Mound, 6 = Red Wing Creek, 7 = Sierra Madera, 8 = Wells Creek, 9 = Gosses Bluff, 10 = Strangways, 11 = Kilmichael (impact origin now questioned). After GRIEVE et al. (1981). Open circle: Steinheim crater according to the postulated larger diameter.